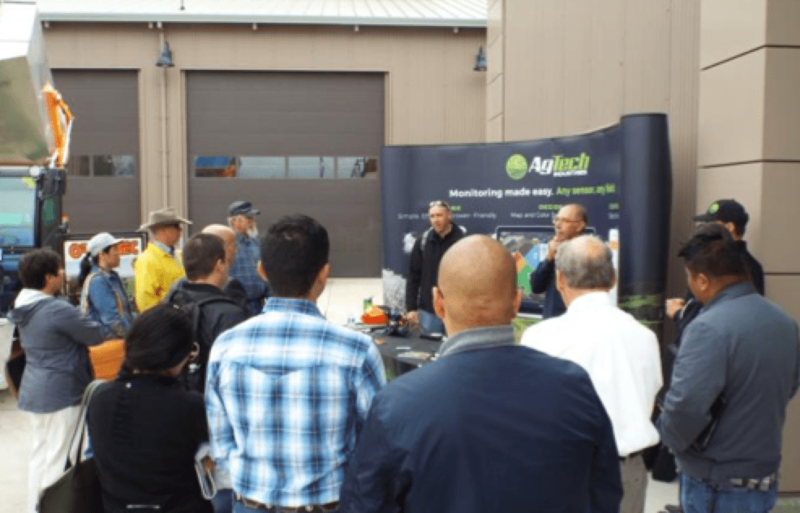 The 5th Annual Salinas Valley Ag Technology Summit will open Tuesday evening, March 27, 2018, with a fireside chat and reception featuring Salinas natives Kirk L. Haney, CEO & Managing Partner, Radicle Growth and Dennis Donohue, lead for Western Growers Innovation and Technology Center. This no-charge reception will take place in the STEM Center (Building S) on Hartnell’s main campus starting at 5:30pm. On Wednesday, March 28, 2018, the Ag Tech Summit events commence at 8:00am and run through 5:00pm, also at the main campus. This full day is free of charge and includes lunch. Colby Pereira, president of Monterey County Farm Bureau is moderating a discussion the Scalability of Technology: Best Practices on Utilizing Technological Innovations from the Netherland and California. Panelists include two experts, Aad van den Berg (Knowledge Development Horticulture) and Hein Kruyt (Solynta), from a 20-member Dutch delegation attending the Summit along with Brian Antle (PlantTape) and Britton Willson (AGCESS – a Pacific Ag Rentals entity). Drew McDonald, vice president Quality & Food Safety at Taylor Fresh Foods will be moderating a session focused on Ag Tech in Food Safety featuring national leaders Dr. Jennifer McEntire (VP Food Safety and Technology, United Fresh Produce Association) and Bob Whitaker (Chief Science & Technology Officer, Produce Marketing Association). They will be exploring topics such as what is Whole Genome Sequencing and what does it mean for us; what are the food safety implications of more and more automation – people can introduce risk but equipment can too; and the phone many of us use today wasn’t the first smartphone which suggests that innovation may more often be about subtle refinements over time and how can we apply that to facets of our business such as equipment design within a facility or a piece of farm equipment. Yinon Eliza (Taranis) will be presenting on next generation aerial imagery technology to prevent crop diseases. Also featured in that session will be a presentation by Chandler Bennett (Parabug) on the release of beneficial insects by drones. Nikki Rodoni (founder Measure to Improve) is leading an all-star panel entitled Addressing Plastic Pollution as an Innovation Opportunity. Panelists include Tony Bova (Grow Bioplastics), Sam Farr (retired Congressman 20th district), Gina Nucci (formerly of Mann Packing – a Del Monte Fresh Company and now Nucci Connects, Inc.), and Daniella Russo (Think Beyond Plastics). Plastic is a valuable and immensely useful material: it is inexpensive, versatile and practically indestructible. It is widely used for packaging, food transportation, irrigation, crop and soil covering, and more. As the industry projects a tripling in production by 2050, we must face the staggering negative externalities: Plastic production will use up almost 20% of global oil production, will represent 15% of the global carbon budget, and will likely surpass the airline industry’s use of petroleum products. To address this global challenge, Think Beyond Plastic is leading a global multi-disciplinary effort to accelerate commercialization of research and innovation of bio-benign materials, associated manufacturing, consumer and business products, and innovative packaging design utilizing these new materials.